Chicago Has Some Nerves! 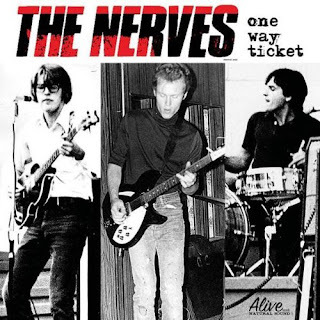 As mentioned in last Friday’s Slumgullion here on BHT, singer-guitarist Peter Case from the legendary punk/power pop trio The Nerves has a solo gig at FitzGerald’s in suburban Berwyn this Thursday night. Now comes word via Facebook (thanks, Martha Westbrook) that another former Nerve, Paul Collins, will be performing at The Ultra Lounge on north Milwaukee Avenue tonight. Collins also led The Paul Collins Beat and released the very impressive King Of Power Pop CD a while back. Case and Collins tried a joint tour not too long ago, but things didn’t work out. So seeing Case and Collins within two days of each other might have to suffice for Nerves fans. A Brentifit Album. A number of Los Angeles and Chicago musicians have put together a digital album to help Brent Puls put a serious dent in the medical bills he’s currently faced with due to his recent treatment for a longtime stomach ailment. Puls is now based in L.A., but he’s well known in Chicago for his work with the popular funk rock club band, Bumpus. Singer Rachael Yamagata and other former members of Bumpus have contributed tracks, along with Joe Pug, Birdy On The Moon (with Wilco’s Pat Sansone), JC Brooks and The Uptown Sound, Tom Schraeder, and Rivals Of The Peacemaker. The suggested price for the 19-track digital album is $10, but contributors are definitely welcome to pay more.